Influenza is commonly referred to as the flu. It is a viral infection that can spread from one person to next simply through the air by coughs and sneezes. Influenza often will begin as a plague, spreading from villages to cities and then to countries around the world. People who travel regularly for work or annual holidays tend to be more at risk. The flu can last for 3 to 5 days and is usually followed after by tiredness for a few weeks after the symptoms have passed. Influenza can also be much more severe causing complications and leading to illness such as pneumonia, which is an infection of the lungs, severe brain damage and even death. When you are traveling a lot or live in a big city you are at risk and would be well advised to stock some Tamiflu, or Relenza just in case. Tamiflu can minimize the symptoms and shorten the duration of an infection associated with influenza. Relenza is another prescription medication available online for influenza. There are two medications available to treat influenza symptoms. 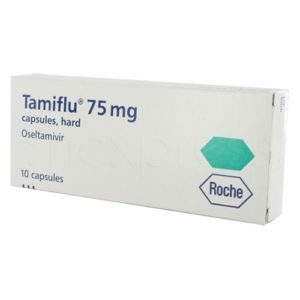 Tamiflu works by slowing the spread of influenza between cells in the body, confining the virus to a smaller area and allowing the immune system to kill the virus. Tamiflu comes in a tablet form and one tablet is taken twice a day for five days with food. Relenza inhalation powder contains the active ingredient zanamivir. Zanamivir prevents the flu virus from spreading and infecting other cells and so confines the infection to a smaller area. This makes the symptoms of the infection less severe and also makes it is easier for the body’s immune system to kill the virus. Relenza inhalation powder is administered to the respiratory tract by oral inhalation only, using a diskhaler device. Influenza is a very contagious disease typically transmitted through the air by coughs or sneezes creating aerosols containing the virus. RNA viruses then infect the respiratory tract in the body causing influenza. The virus infects the upper and lower respiratory tract, once entered it spreads rapidly from one cell to the next. A viral infection can cause illness such as the flu, chickenpox, croup, stomach flu and viral pneumonia. Type 1 – serious form of the disease with the most dangerous symptoms. Type 2 – less common then the first type but the symptoms are not as severe. Type 3 – is one of the mildest forms and usually affects children more so then adults. How do I buy influenza medications online? You can buy influenza treatments online, safely and securely. You will be asked to complete a free online consultation form, which will include relevant medical details. Our specialists can then make sure this is the right medication for you and your prescription will be sent to the pharmacy for express delivery to your door.